With a broad range of peristaltic pumps, tube and hose pumps, sine pumps, liquid filling and OEM pumps, Watson Marlow have a solution for dosing, metering and difficult product transfer. From small accurate pharmaceutical dosing through slurrys to whole food transfer, the peristaltic range is extensive and well proven. Watson-Marlow Pumps offers the widest range of peristaltic pumps, capable of handling flows from 0.6 μl/min. to 108,000 litre/hour and handling pressures of up to 16 bar (230 psi). With no seals, valves or moving parts in the flow path, the risk of clogging, leaking or contamination is eliminated. The unique direct-couple design of Bredel heavy duty hose pumps combines the small footprint of close-coupled pumps with the reliability and ease of use of long-coupled pumps. 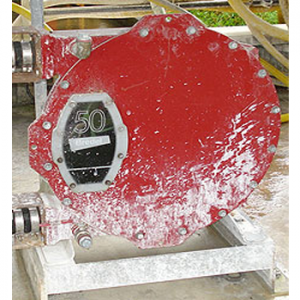 The pumps use heavy duty bearings within the pump rotor, eliminating overhung load. The ultra-compact high torque gearing aligns directly to the pump housing and is fully protected by an innovative buffer zone.